Discover the natural splendor and abundant beauty of Tigre Delta on a private full-day trip from Buenos Aires. 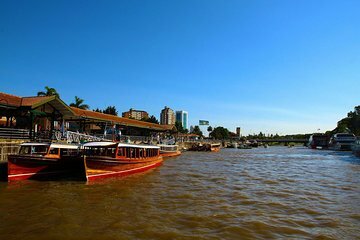 Alongside a personal guide, you’ll board a boat and cruise past the stunning scenery of Tigre Delta. Learn about history of the fascinating area, disembark for a delicious lunch and then venture to Paseo Victoria — a charming historical neighborhood. See, too, a vibrant riverside fruit market, and the impressive cathedral and historic center of San Isidro. Receive undivided attention on this private tour.